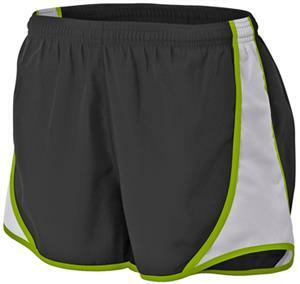 A4 Women's Polyester 3" Lined Speed Shorts. Woven polyester provides lightweight, all-season protection from the elements. Superior moisture wicking characteristics keep athletes dry and comfortable in all weather conditions. WAIST 26 - 27" 27 - 28" 28 - 29" 29 - 30" 30 - 31"